Battered yet far from broken, Christchurch and the surrounding Canterbury region as a whole has overcome natural incidents to remain a striking and beautiful part of New Zealand. The city has rebounded remarkably since being hit, and has taken the chance to completely re-brand itself with a modern, metro vibe that gives Christchurch one of the most unique characters of any city in NZ. As one of the best gateways to explore a variety of New Zealand scenery “from the ocean to the alps”, Christchurch has a bevy of things to see and do both within its borders and looking out towards the greater Canterbury region in general – and whether you're after something to get the adrenaline pumping, take in some culture or witness more of NZ's famously beautiful natural landscape, you'll be spoiled for choice here. 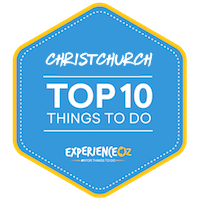 To make things that little bit easier for planning your trip, we've put together our list of the Top 10 Things to do in Christchurch & surrounds below. Learn more about the fascinating and vastly untouched continent at the International Antarctic Centre in Christchurch. The award-winning centre offers a range of interactive experiences that educate visitors on modern life at Scott Base, the harsh climate explorers face and the wildlife conservation projects that are in progress. It is simply inconceivable to imagine what temperatures of minus 18 degrees must feel like unless you live in a cold climate. Antarctica is infamously known as one of the coldest, windiest and driest location in the world and you can experience a taste of the weather here in a simulated ‘Storm Room’. The Storm Room within the centre gives you the chance to grin and bear the gruelling weather environment of an Antarctic storm with a temperature of minus 8 but when you factor in the wind factor it can reach minus 18 degrees. The safe indoor polar room complete with ice cave sets the tone for you to comprehend what explorers and scientists experience on an average day in the Antarctic continent. Warm jackets and overshoes are provided for the immersive experience (and you will need it) plus for those who are willing to brave it, there is a polar plunge challenge where you can put your hand in icy cold Antarctic water for a brief moment. "The award-winning centre offers a range of interactive experiences that educate visitors on modern life at Scott Base, the harsh climate explorers face and the wildlife conservation projects that are in progress." Once you have conquered the storm room, watch Little Blue Penguins in their word class indoor and outdoor exhibit. The penguins are fed twice a day at 10.30am and 3.30pm and this is your chance to see them when they are most active diving in and out of the water for food. The rescued penguins are generally nocturnal but here at the International Antarctic Centre you can see them up close and learn more about their environment and biology. Huskies play a major role in the transportation around Antarctica given their tolerance for cooler climates and you can see these animals in the Husky Cuddle Zone and then head for the theatre and 4D Cinema for a thrilling movie experience that will leave you shaken and stirred. Finally, a ride on the Hagglund is a must do experience while at the International Antarctic Centre. The all terrain vehicle purpose built for Antarctic exploration will take visitors on a 15 minute ride over ice, up and over hills and on coarse terrain. The ride is one of the most authentic Antarctic experiences that you have here at the International Antarctic Centre and after wandering through the moving gallery it is virtually guaranteed that you will have a greater appreciation about Antarctica. The interactive experiences within the centre put you in the shoes of scientists and the life they lead in Antarctica working on conservation and research projects, the food, clothing and temperatures they endure and the history of this part of the world. Christchurch is affectionately known as the Garden City, and there's perhaps no place within its boundaries that better reflects this than its wonderful Botanic Gardens. Boasting the widest collection of both native and exotic plants in all of New Zealand, Christchurch's botanic gardens is huge; it offers a diverse array of plant life, trees, ponds and much more that's impossible to take in within a single day and which has existed for over 150 years. The gardens are easily reachable due to their location in the heart of the city and lie at the heart amongst a variety of interlocking parks that are great for letting yourself get lost in on a sunny day or relaxing for a picnic. As one of the few places in Christchurch that was unaffected by the earthquakes, the Botanic Gardens are still in tip-top condition and offer the same abundance of both plant and animal life they always have; meticulously looked after and well-maintained, they're a place of serenity and diverse and beautiful colour contrasts. The rose garden in particular is a popular highlight, especially during the spring when it's in full bloom and is full of lovely aromas. "Boasting the widest collection of both native and exotic plants in all of New Zealand, Christchurch's botanic gardens is huge; it offers a diverse array of plant life, trees, ponds and much more that's impossible to take in within a single day and which has existed for over 150 years." The Avon River also makes its way through the centre of the gardens, with the common sight of families of ducks paddling past only serving to add to the natural charm. All this is, of course, also available at the best possible price – free – however a donation is suggested and well worth giving to ensure the upkeep of such a beautiful downtown oasis. There's also a cafe/restaurant within the gardens should you wish to grab yourself some refreshment, and the kitchen gardens section of flora which sits alongside it is a sight to see in itself. Tours of the gardens are available which serve as a great starting point to get yourself orientated, while there's also a special “caterpillar car” which can take you through the gardens while giving your legs a rest and help you get a feel for some of the nuances of the plant life on display as well as the history of the gardens. Christchurch's Botanic Gardens are that rare place where you can spend as long or as little as you like and still come away with a feeling of fulfilment and satisfaction, as well as an escape from the hustle and bustle of urban life – all while right in the middle of the city. If you are planning on visiting other Christchurch attractions then a combo pass can help you to visit all the top attractions and at one great price! Visit our experiences page to see more. To understand the history and culture of Christchurch then do not miss out on a visit to the Canterbury Museum in the centre of Christchurch. The vast collection housed here over three floors explore the past, present and future of this city. Walk the historical timeline and be amazed by the sheer number of exhibits covering both New Zealand history as well as international history. Stroll through Christchurch Street and imagine how life must have been here in the 19th Century. Then explore Asian artworks and objects that are incredibly well preserved and some of which date back to the Ch’ing Dynasty and Neolithic times. On display are artworks from China, Korea and Japan. By far, the most popular exhibit here though is Tash Pen Khonsu- a female Egyptian Mummy- complete with an ornately designed coffin. The mysterious and fascinating Egyptian exhibit gives a small glimpse into this historic period. The hieroglyphics on the coffins are deciphered and modern day CT scans reveal the age she was when she died of unknown causes. "Canterbury Museum is must visit attraction in Christchurch sprawling over three floors and bursting with a vast collection of artefacts from the past and present covering natural history, geology, cultural heritage and of course local history." Fast forward a couple of centuries and the museum will take you to Polynesian settlement in Aotearoa with artefacts on display while art aficionados will appreciate the Iwi Tawhito exhibit that tells the story of Moa people. Canterbury Museum is an all encompassing museum that features some insightful geological exhibits too. Visitors will get the most out of the Living Canterbury display showcasing the region’s natural resources including the water, land and coastline while the geology exhibit on the third floor brings people in contact with a huge amethyst geode and incredibly a 485kg fragment of a Meteorite. And these are just some of the permanent exhibitions. There are much more to explore here including special exhibitions that always ensure that no visit to Canterbury Museum is ever the same. Young enquiring minds can get involved with an interactive discovery zone on level 3 in addition to the captivating collections within the Canterbury Museum. Being one of the more mountainous countries you'll come across in your travels, it only makes sense that kiwis love their gondolas (or cable cars, as they're also known) as there are few better ways to get up above the city and its surrounds for some incredibly panoramic views. Christchurch's gondola is no exception in this regard, and provides the best possible vantage point (short of embarking on a strenuous height) of the cityscape, the Port Hills, the glittering harbour of Lyttleton, and even the impressive Southern Alps off in the distance. 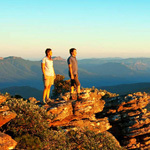 Once you've reached the top of the summit, you'll have the opportunity to participate in some activities or visit a few attractions such as the Red Rock Cafe (a fully licensed venue ideal for enjoying a refreshing beverage while soaking in some great views) or take a ride on the Time Tunnel (a short trip that showcases a reconstruction of the area's historical background). "Christchurch's gondola provides the best possible vantage point of the cityscape, the Port Hills, the glittering harbour of Lyttleton, and even the impressive Southern Alps off in the distance." The Gondola itself provides a nice, gentle ride to the top of its host mountain , taking 10 minutes (which can feel a little too short) and covering a distance of 862m horizontally, with comfortable, stable cabins that can seat four people. There are also plenty of tracks and trails to walk around and explore once you're at the summit, which allow you to get an additional array of outlooks and absorb some of the famously-fresh New Zealand air. You'll want to try and time your visit with clear weather however, as on mistier days the views out to the Southern Alps can sometimes be obscured by cloud. While it may seem a little “touristy”, the Gondola and the visitor's centre at the top does a good job of striking the balance between providing convenient facilities while still providing a respectful, historical perspective on Christchurch and its development. Like many other attractions that provide wonderful views of their respective cities, Christchurch's Gondola makes for a great starting point when you first arrive, providing an impressive outlook that will also help to orientate yourself as to where is what in the city. Willowbank Wildlife Reserve is Christchurch’s premier wildlife park founded by the Willis family with a collection of native animals and an evening cultural experience. In daylight, see the iconic New Zealand Kiwi birds in the nocturnal house and discover how Willowbank is actively participating in a kiwi breeding program that incubates eggs for several species that are eventually re-released into the wild. An assortment of native bird species are cared for at Willowbank Wildlife Reserve including Heron, Black Swans in addition to exotic animals such as macaws, lemurs, otters, iguanas, emu and wallabies plus common farm animals including pigs, goats, donkeys, llamas and more. 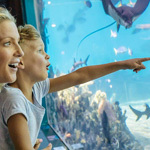 While other zoos may keep animals in zoo exhibits to entertain visitors, the point of difference here is that the wildlife are surrounded by natural environments and the animal keepers have a strong focus on education. Willowbank Wildlife Reserve is also committed to conservation projects and this is evident in their partnerships to make New Zealand predator free in order to protect endangered species. "Willowbank Wildlife Reserve is committed to conservation projects and providing an education cultural experience whether you come here to see the famous Kiwi Birds or enjoy Ko Tane cultural evening performance and Hangi Dinner." After dark, the reserve comes alive during an evening Ko Tane Maori cultural performance and dinner. For any international visitors, this is a great way to understand the country’s history in an educational and entertaining way. Upon arrival, experience a traditional welcome by the chief and then explore the village to learn about the Maori culture with a variety of traditional hunting tools demonstrations, displays, games and cooking techniques that are demonstrated. You can even witness your Hangi dinner being lifted from the ground before a 45 minute kapahaka performance. Audience participation is the name of the game here and makes for a much richer cultural experience where guests are invited to come up on stage and learn a poi dance or haka. Dinner is ready after the cultural performance with a feast of breads and dips, soups and of course the freshly prepared mouth watering Hangi dinner (chicken, lamb, pork) with vegetables and salads. Whether you come here for a Kiwi encounter or to experience Ko Tane, Willowbank Wildlife Reserve is a must do Christchurch experience that will leave with a richer understanding of New Zealand’s native wildlife and culture. It takes a special kind of positivity and can-do attitude to take one of the biggest disasters in your city's history and re-purpose it into an attraction in itself, but that's exactly what Christchurch's Quake City is. While it's sad for visitors to see the devastation that has hit what is otherwise a beautiful place, the sense of optimism from Christchurch's locals that is prevalent throughout the city is even more focused here; the Quake City exhibit aims to add to the understanding of the general public of how the city and its inhabitants were affected by – and dealt with – the quakes. It's an incredibly interesting and well-curated look at the impact the natural world can have on human development, with a series of educational and entertaining displays, videos and other exhibits that aim to cater to both adults and kids alike. "It's an incredible interesting and well-curated look at the impact the natural world can have on human development, with a series of educational and entertaining displays, videos and other exhibits that aim to cater to both adults and kids alike." Quake City is coordinated by the city's Canterbury Museum who have done a marvellous job of putting together this multi-sensory attraction, and it's the stories of those who were there that form the backbone of what it has to offer – they are both harrowing and uplifting at the same time. It's very reasonably priced too; $10 is all it will cost you, and at the very least you'll likely get an hour of entertainment out of your visit to Quake City. Various relics that remain from the day of the quake are also on show, including the huge main bell from the city's Roman Catholic Cathedral as well as various pieces of debris from the Christchurch Cathedral, as well as documentation about the heroic responses put on by the city's emergency response service teams. As one of the key events in Christchurch's recent history, it's a logical place to start for new visitors to the city to become acquainted with what was a game-changer for the city's current layout, and there are few better ways to do it than by paying a visit to the Quake City attraction. No, we're not talking about kicking a ball or placing a bet on your favourite horse – where Christchurch's Avon River is concerned, “punting” refers to what has become one of the most iconic sights in the Christchurch region: a venice-style gondola trip down the river's serene waters. Operated by Welcome Aboard Christchurch and based from the city's historic Antigua Boat Sheds, with a punting session you'll step aboard a classic-style punt boat – a flat-bottomed boat pushed along by a pole - accompanied by a qualified punting pilot in full Edwardian-themed clothing and head on a leisurely cruise past some of Christchurch's key highlights. Some of the local landmarks you'll encounter that take on an entirely new life from the water include the picturesque Botanic Gardens (mentioned in further detail below), charming Town Hall, the pleasantly drooping branches of willow trees and the changing face of the city centre, to name just a few. "An ideal experience for couples that adds a hint of romance to exploring the city, you'll meander peacefully under ornate bridges, get a glimpse of wildlife on the riverbanks and much more." An ideal experience for couples that adds a hint of romance to exploring the city, you'll meander peacefully under ornate bridges, get a glimpse of wildlife on the riverbanks and much more – with warm blankets and hot water bottles even provided during the warmer months of the year. 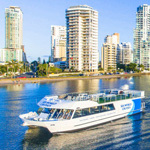 The punter guiding the boat will also provide you with a detailed commentary of the various surrounds, and they're always willing to do their best to answer any questions you may have regarding the local area. Each corner of the riverbank is photogenic in its own right, and each corner brings a new idyllic scene that's perfect for photographers, so be sure to bring along a camera with a decent lens rather than just relying on happy-snaps taken with your mobile phone. One of the experiences on this list that is truly unique to Christchurch, punting on the Avon River offers a refined and relaxed experience that's all about enjoying the finer things (and views) that New Zealand has to offer – particularly in Spring when the myriad flowers along the riverbank are in full bloom. The Christchurch region's take on an open-range zoo, Orana Wildlife Park serves as one of the best general animal-focused attractions in New Zealand while also offering a range of specalised animal encounters that can be booked for more intimate experiences with various kinds of wildlife. Set amongst an expansive 80 hectare area that provides an impressive amount of space for the animals to inhabit that strive to maintain the natural essence of their native habitats in the wild. A refreshing change from the typical caged-in zoo experiences, Orana Wildlife Park provides an emphasis on interaction with the animals that you seldom get at many other similar facilities such as lion and rhino feeding. Big enclosures with lots of space mean happier and more active animals, and more active animals make for an overall more enjoyable experience than more fenced-in alternatives. "Big enclosures with lots of space at Orana Wildlife Park mean happier and more active animals, and more active animals make for an overall more enjoyable experience than more fenced-in alternatives." The list of animals on offer at Orana Wildlife Park is fairly extensive too, covering Africa, Australia, Asia the Americas and – of course – New Zealand, so you can expect to see the likes of giraffes, zebras, kangaroos, emus, llamas and – of particular interest to most – Kiwis. Numerous shows that take place throughout the day help to enhance the experience further, and occur at roughly half-hour intervals so you'll never be lacking for something to see while you're there. The park has a range of sub-sections that focus on a different part of the animal kingdom; a walkthrough aviary is brimming with bird life from all over the globe, while the park's farm yard is a favourite of kids that allows them to get up close with pigs, calves and lambs. To get the most out of your visit you'll likely want to fork out the extra cash to pay for one of the optional encounters (entering into the heart of the lion's habitat during feeding time is as spectacular as it is unnerving), however the basic entry easily provides enough entertainment for at least half a day or more if you're not in a rush. Located just 15 minutes from the city CBD, it's highly accessible as well. In all, Orana Wildlife Park is an essential itinerary item for animal lovers or those with kids to pay a visit while they're in Christchurch. Experience the Southern Alps on the great TranzAlpine railway journey from Christchurch to Greymouth. The TranzAlpine is one of the world’s best scenic railway journeys travelling through deep gorges, snow capped mountains and native beech forest. Every kilometres of this railway journey is a feast for the eyes with beautiful views to the left and right of you. The TranzAlpine rail journey is only 223 kilometres long, the ride is 4.5 hours long, though it won’t feel like it as passengers become so captivated by the changing scenery. The inland journey travels through mountainous terrain across the patchwork plains of Canterbury past alpine regions that replace skyscrapers. The first major stop on the line is Springfield before pushing ahead to Arthur’s Pass. View the Waimakariri River Gorge several times as the train climbs up the cliffs and through several short tunnels and four dramatic viaducts. Cruise through the 8.5km Otira Tunnel past vibrant greenery and a series of river valleys before descending to Greymouth. "The TranzAlpine is one of the world’s best scenic railway journeys travelling through deep gorges, snow capped mountains and native beech forest. Every kilometres of this railway journey is a feast for the eyes with beautiful views to the left and right of you." On board the train, recline on spacious seats looking out through large glass windows and glass panelled train roof ceilings to an overall experience capturing the alpine atmosphere that you travel through. If you start to feel peckish during the journey then head to the licensed café to find a bite to eat or even order a bottle of wine or bubbles to enjoy during the journey. And to top off the experience, head to the open air viewing carriage with your camera to capture some incredible photography as you pass the mountains and travel over rivers and native forest. Passengers can travel in any direction from either Greymouth or Christchurch to enjoy the same views that showcase New Zealand’s natural beauty. The train will depart Christchurch at 8.15am arriving into Greymouth at 1.05 pm before departing Greymouth at 2.05pm and returning into Christchurch at approximately 6.30pm. Join this experience as a day trip experience or a overnight jaunt to Greymouth. Even if you are not a railway enthusiast, this is one Christchurch experience that you should not miss out on because the views are simply amazing. If you're in the Christchurch region and looking for a bit of a rush combined with a physical challenge, then the Christchurch brand of the popular Adrenalin Forest – a fun-filled high wire/rope, zip line and flying fox attraction set amongst a great forest setting may be just what the doctor ordered. The attraction blends freedom, fear and fun into a single entertaining package and is easily reached from the Christchurch CBD in around a 20 minute drive to its spot near the coast. The park features a variety of courses of varying difficulty levels that allow you to make your way around the treetops at your own pace, with a great level of physical fitness not required – if you're feeling too taxed, you can simply stick to the easiest of the six available courses. Generally speaking, in terms of challenge at Adrenalin Forest Christchurch, the higher you go, the harder it gets, and you'll be able to gain a sense of personal achievement as you ascend from one to the next. "Generally speaking, in terms of challenge at Adrenalin Forest Christchurch, the higher you go, the harder it gets, and you'll be able to gain a sense of personal achievement as you ascend from one to the next." There are over 100 individual challenges to participate in in total, and all ages from 10 years old and up are welcome to come and test their balance and agility. The forest-based setting plays a key role in enhancing the experience, as the surroundings of the tall pine trees and distance from any built-up development adds a bit more of an escapist atmosphere to what is otherwise an adrenaline-based experience. Those concerned about safety can likewise rest easy, as climbers are made to wear a safety harness connected to a failsafe safety system, while the guides provide all attendees with an in-depth briefing outlining the best ways to move, climb and secure you throughout the experience. If you've ever wanted to get out there and defy gravity all within some enjoyable natural New Zealand surrounds, Adrenalin Forest makes for a refreshing break from the typical look-and-take-photos sightseeing rigmarole.